Sob. At least I got a blog post [Vote] or two [Donkeys] out of it. Onwards! BTW do stations still interrupt their programs, or have I dated myself? 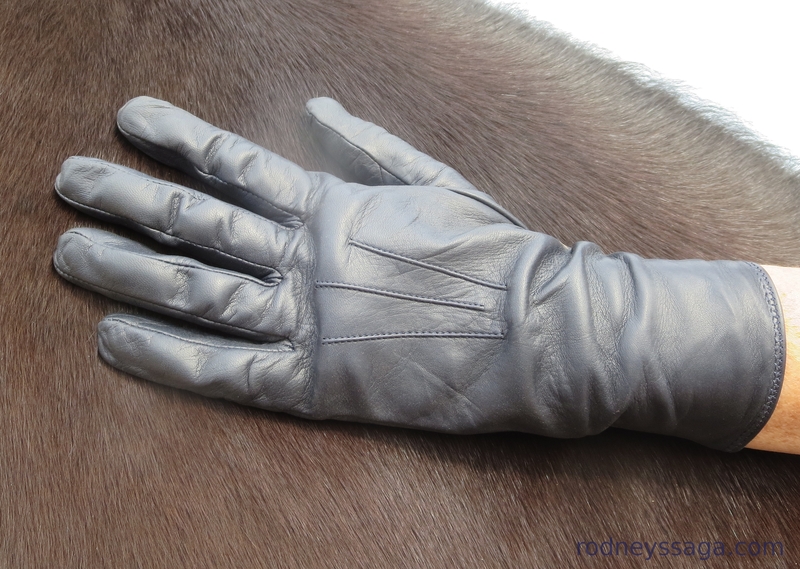 Long show gloves from Hartmeyer Saddlery. These are the same folks who talked me into my colorful show outfit [Show Photos]. I may be developing a favorite saddle seat store. Who would have thought? I bought black gloves for show, navy blue for schooling. Two pairs of black would have been more sensible. I would still have a functional pair if I lost a show glove. OTOH, if it’s not fun, why do it? Extravagant, yes. One might even say excessively extravagant. They were kind of a freebie. I used the prize money from Nationals. Checks in the mail. Hard to get tired of that. The 2014 stationery with 2014 photo. I did not stay for the group picture this year. I was sufficiently tired that I wanted to drive home with as much daylight as possible. I still don’t like wearing gloves, “When I left eventing for jumpers, I pulled off my gloves with a sigh of relief.” [Repost]. 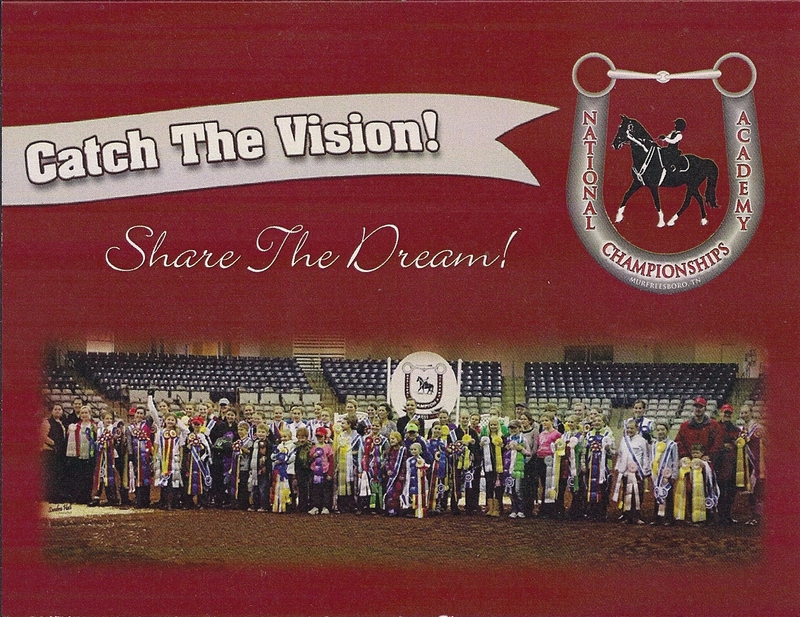 Now I have even more reason not to wear them with my own horses. (If. When.) The gloves, or lack thereof, can remind me which saddle I am riding in. Best not to come over all saddle seat in the middle of a jumping round. I always sported a very strange tan line: from the shoulder (in mid-summer wearing sleeveless) to the wrist, where the glove started.